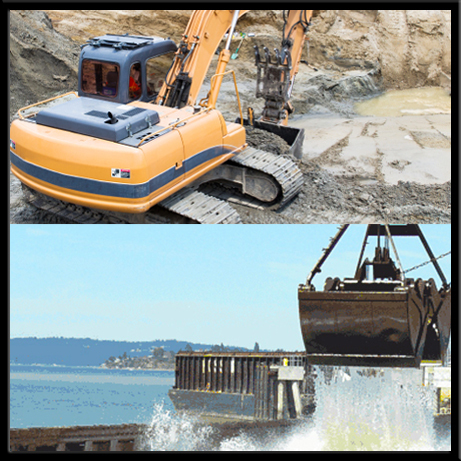 This comprehensive one-day course will familiarize you with how to develop cleanup standards for sediment cleanup sites and demonstrate compliance after cleanup. Emphasis will be placed on new sections of the revised Sediment Management Standards, including freshwater standards, approaches for bioaccumulative chemicals, use of natural and regional background as cleanup standards, assessing human health and ecological risk, back-calculating to sediment standards using biota-sediment accumulation factors, and more. The Ecology spreadsheet tool for calculating sediment cleanup standards will be demonstrated. Special cases will be reviewed, such as wetlands, wood waste sites, and mining sites, along with Ecology-approved methods for developing site-specific cleanup standards. Challenging chemicals such as dioxins/furans and PCBs will be discussed, including new approaches for assessing risk and calculating cleanup levels currently under development for these chemicals. Policy and compliance issues will also be covered, including selection of a site-specific cleanup standard within the allowable range, points of compliance for benthic vs. bioaccumulative chemicals, and the different statistical methods used to evaluate compliance for benthic and bioaccumulative chemicals. Q&A sessions will be provided throughout the day for any additional questions you may have. This course is intended for environmental professionals seeking an improved understanding of the establishment of cleanup levels under SMS.